It is never too early to think about your boiler and the coming winter. It is always better to be prepared than to find yourself in a freezing home, uncomfortable and unable to sleep. Boiler maintenance and replacement should happen in the warmer months so that you never have to worry about an outage. · How many times last winter did your boiler need repair? · How old is your boiler? · Have you noticed an increase in utility bills? · How much did your boiler cost you in energy, maintenance and repair? You might be surprised at how much your boiler has cost you. 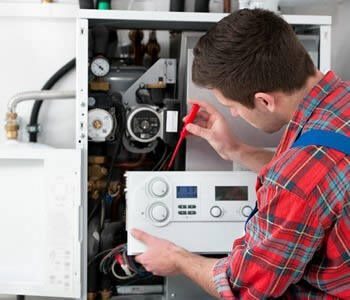 For older systems it is common for the costs of repair, maintenance and running the boiler for one winter can almost cost as much as new boiler installation. If you ran into a lot of problems this past winter, consider replacement. You may be surprised to learn that the average boiler is designed to last just fifteen years. Older boilers were only designed to last about twelve years. If you have an older home and have never replaced the boiler, you are overdue for a new boiler installation. If you have purchased a home that was not new when you moved in, you might not know the age of your boiler. This is definitely something to have checked as quickly as possible. An old boiler can be harmful if it malfunctions, and you don’t want to put your family at risk. Contact a specialist to visit your home and inspect it so that you know if it should be replaced. Old boilers tend to use more energy. This is due to several factors. First, older boilers are made with older technology. They don’t have the energy saving features of today’s boilers. This leads to higher energy consumption, which is not only bad for your wallet but for the environment as well. Second, older boilers tend to run harder than newer ones. If you are due for a repair or maintenance, it might run longer or harder than necessary to heat your home. This also causes an increase in energy usage that impacts everyone in the end.